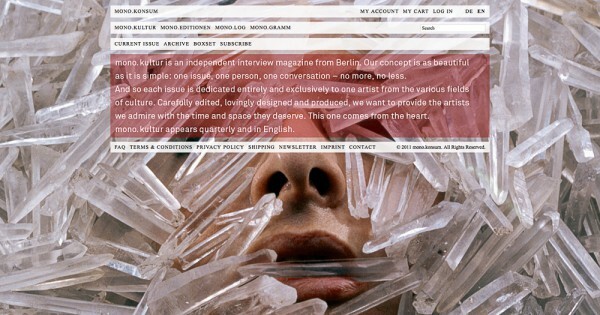 Established in 2005, mono.kultur is an independent quarterly interview magazine and at the very heart of mono.studio. 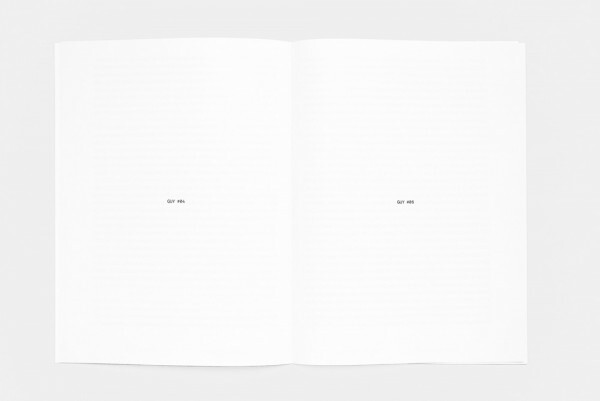 Our concept is as simple as it is beautiful: one issue, one artist, one conversation – no more, no less. 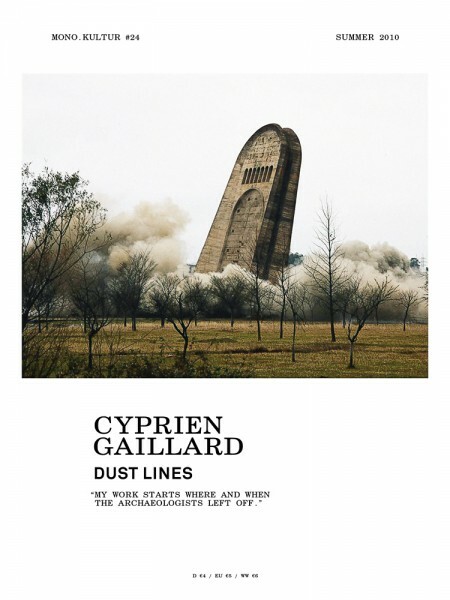 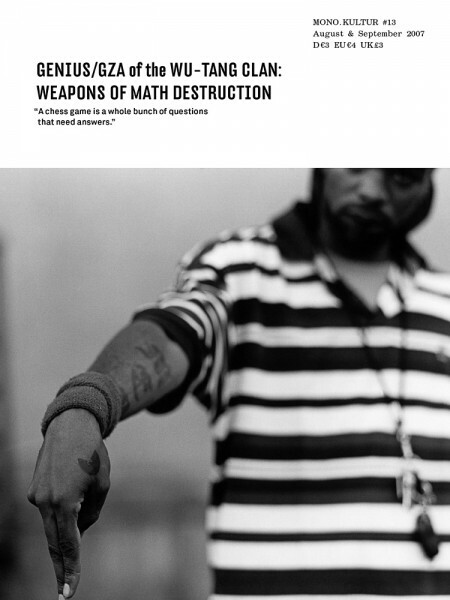 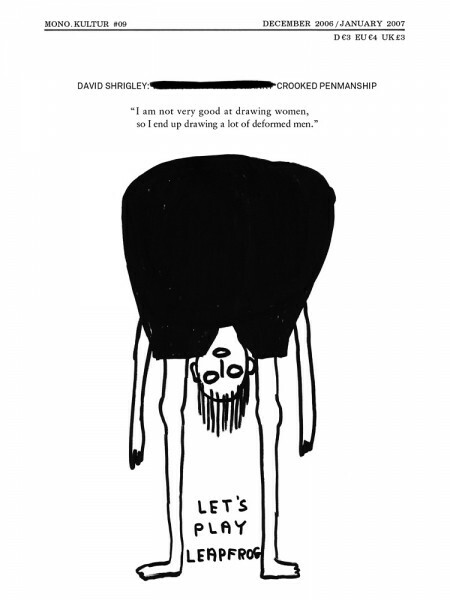 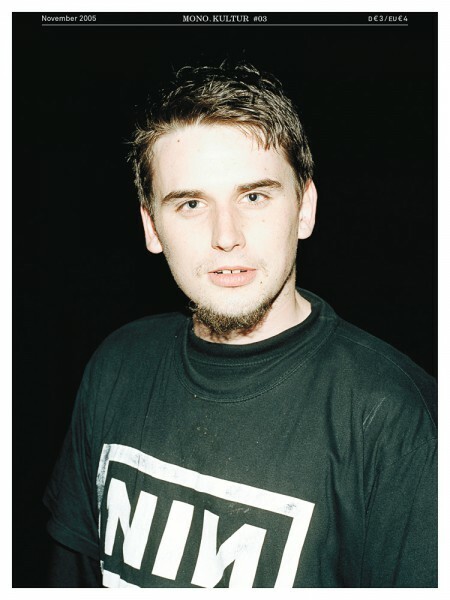 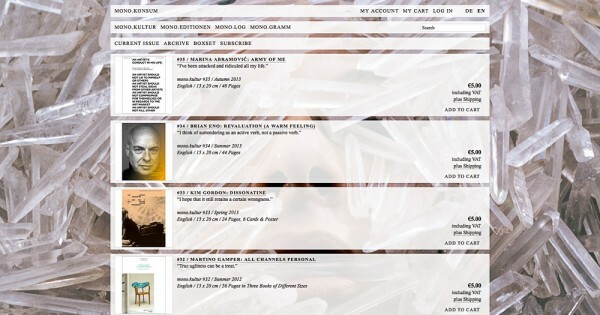 And so every issue is dedicated exclusively and entirely to one artist from one of the various genres of culture. 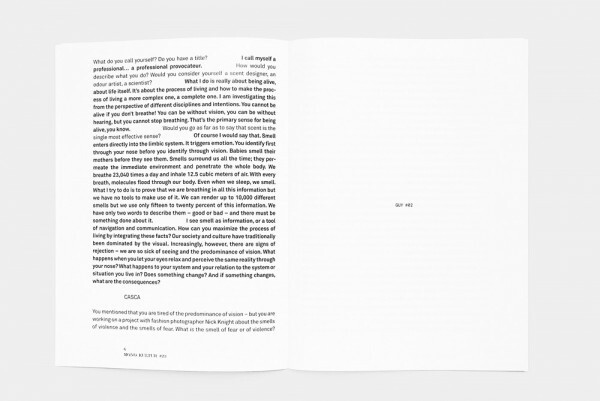 Created in close collaboration with the artist, each issue is designed to provide an intimate experience in print, immersing the reader in the mind and world of our interviewees – from the long-form Q&A interviews to the design, which is developed individually for each artist and issue. 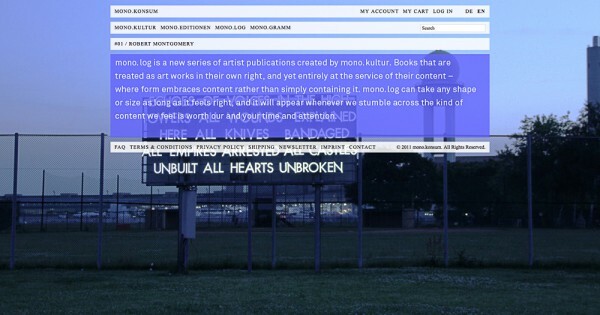 Despite or rather because of its stringent concept, mono.kultur has evolved into a laboratory for experiments in text and design, building an encompassing archive of all the wonderful things that can be done with print. 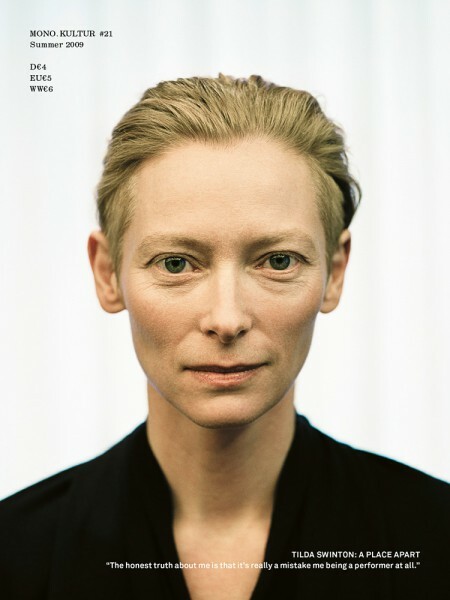 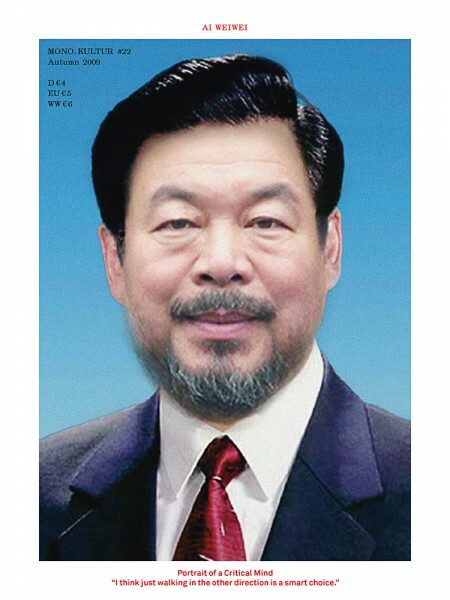 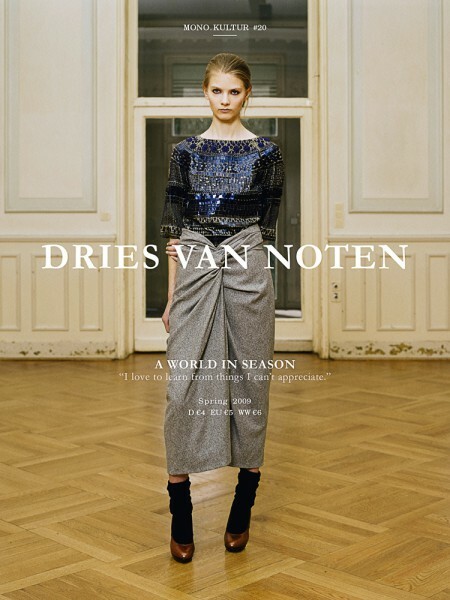 mono.kultur has featured, among many others, artists such as Tilda Swinton, Ai Weiwei, Dries van Noten, Marina Abramović, Miranda July, the Wu-Tang Clan, Ryan McGinley, Kim Gordon, and Nine Inch Nails. 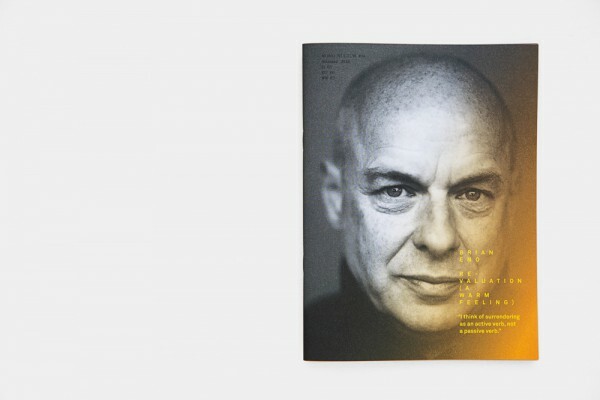 Brian Eno is, of course, among many other things, known as the godfather of ambient music. 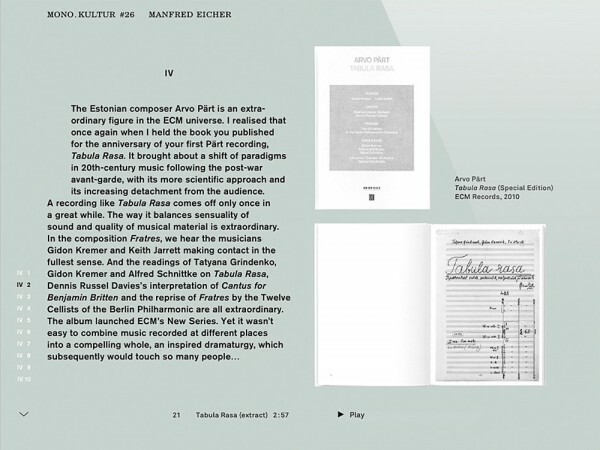 In the beautiful and extensive conversation with his daughter Irial for mono.kultur #34, Eno discusses his interest in how art and sound can affect mood and emotion. 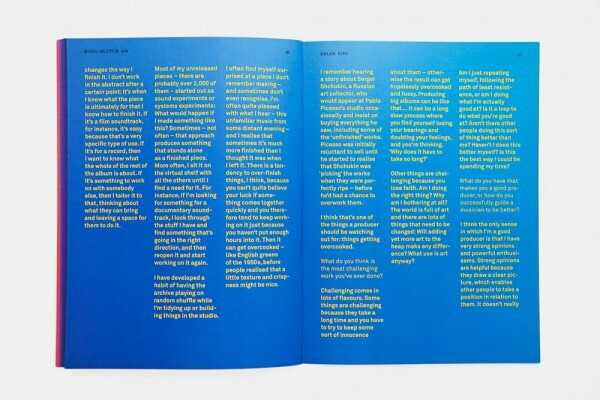 In response, the issue performs an experiment in chromatics, with the pages gradually traveling the entire colour spectrum from yellow to blue and back again, not only affecting the optical perception of the text, but also colouring our response to the content of the interview. 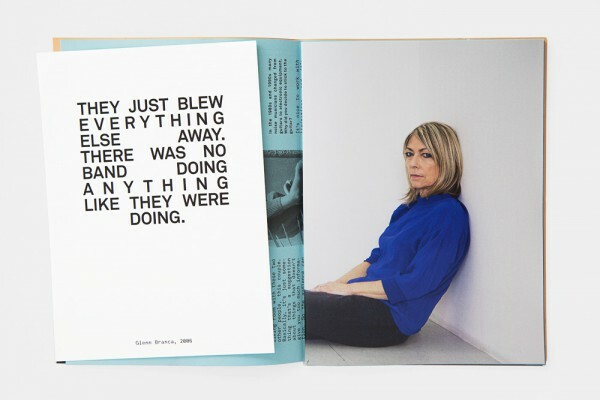 mono.kultur #33 is dedicated to Kim Gordon who is, naturally, not only co-founder of New York art-rock outfit Sonic Youth, but a role model in underground cool. 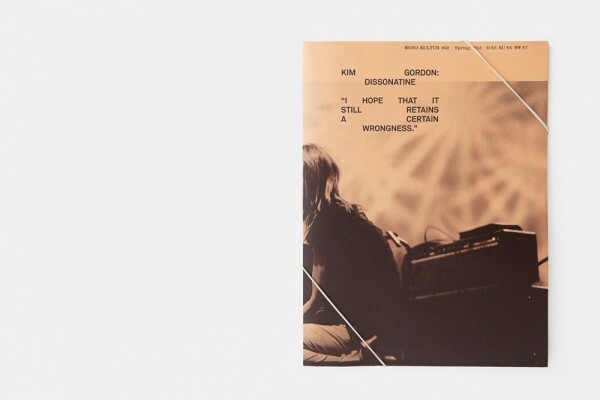 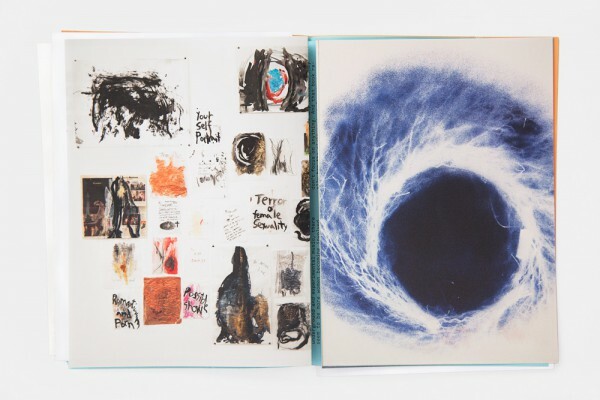 Consequently treading the fine line between rock and roll, the issue is somewhat of a time capsule filled with new and old artwork by Kim Gordon on a set of loose sheets and cards in varying sizes and printed on no less than five different paper stocks. 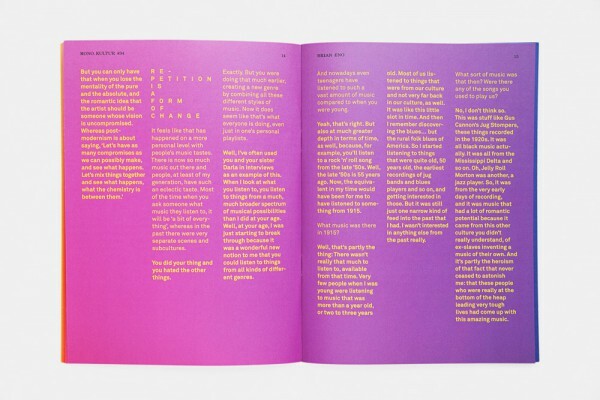 True to Gordon’s ‘anything goes’ DIY philosophy, it is all held together by the most basic commodity of all: the good old rubber band. 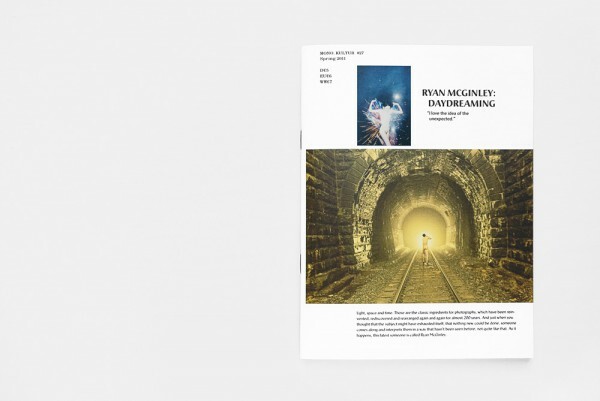 For our issue mono.kultur #27, we spent a day in New York with photographer Ryan McGinley, famous for his legendary summer trips across the USA, documenting naked youth in the wide landscapes of America. 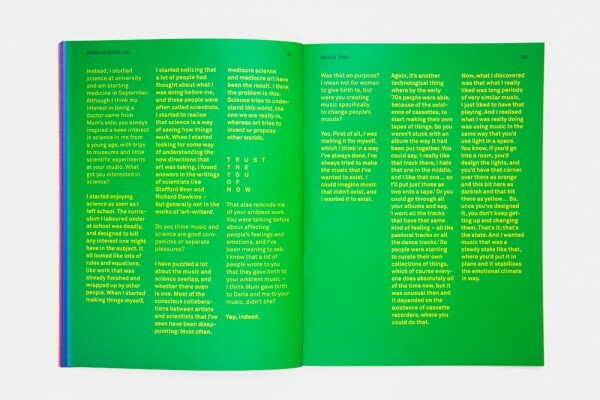 Infusing the design with the same considerate carelessness as McGinley’s work, the issue sports no less than 10 different and incompatible fonts with just as many typographic grids, in an ever-changing visual train of association. 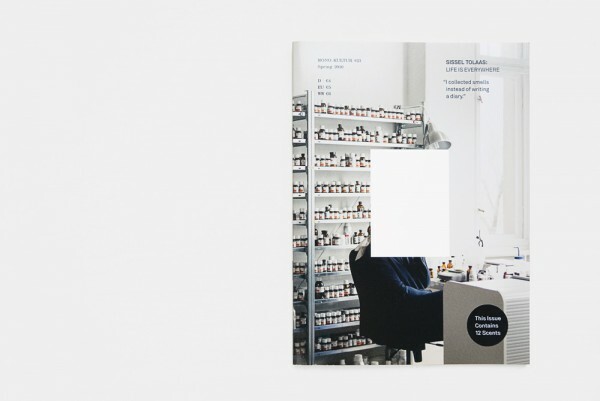 mono.kultur #23 is dedicated to Norwegian scientist and artist Sissel Tolaas, who has devoted her life to researching and reproducing smells. 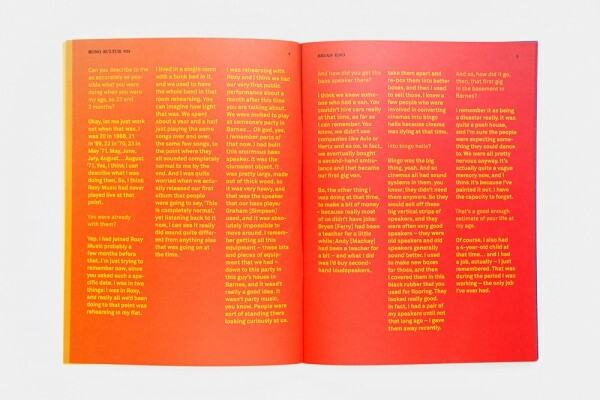 Convinced that our sense of smell is a powerful instrument for navigating and understanding our world, we developed in collaboration with Sissel Tolaas an issue that clears the pages of any imagery, instead printing 12 different scents to complement the interview. 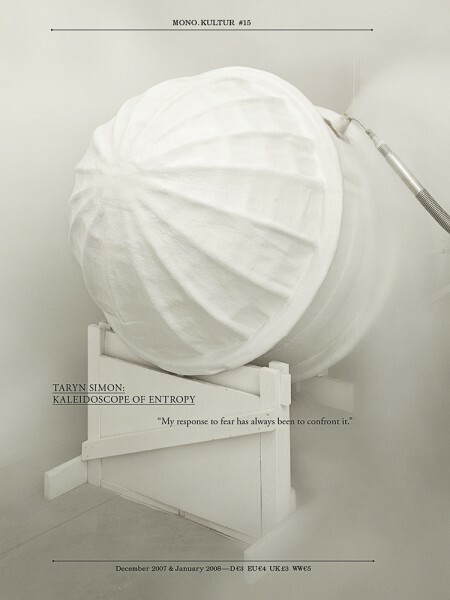 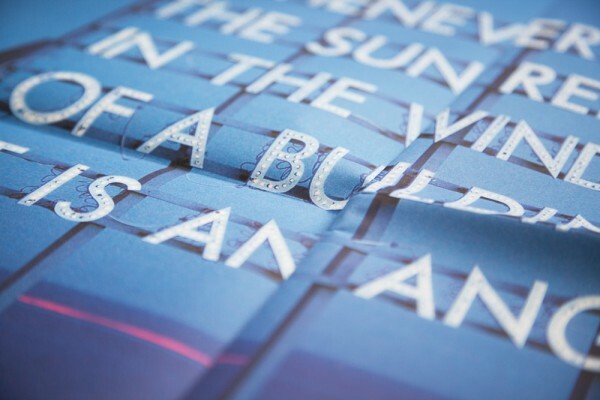 It makes for a unique experiment pushing the borders of print into a different sensory dimension – not to mention a challenging reading experience. 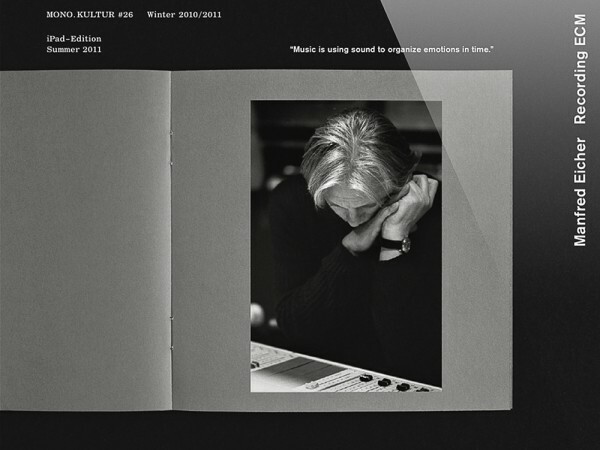 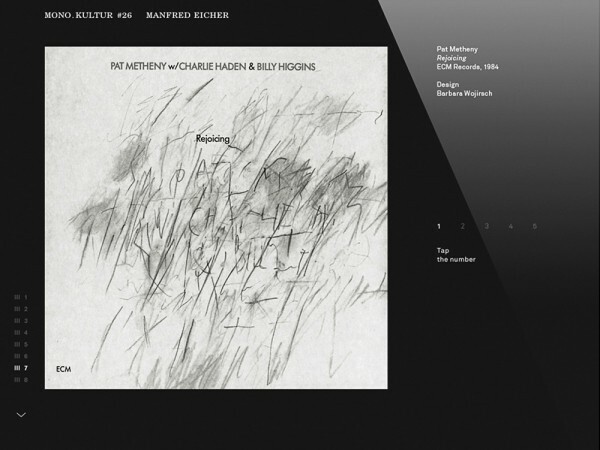 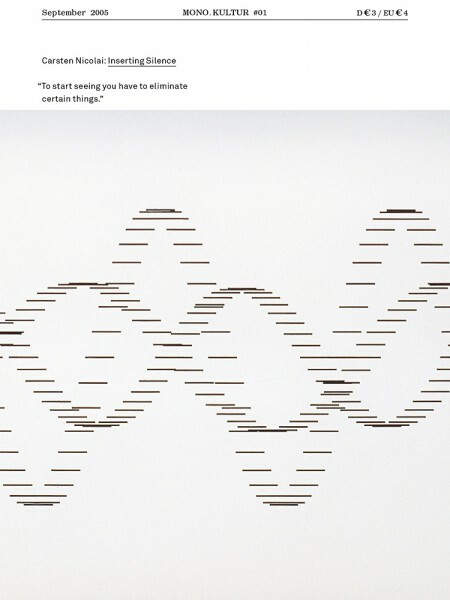 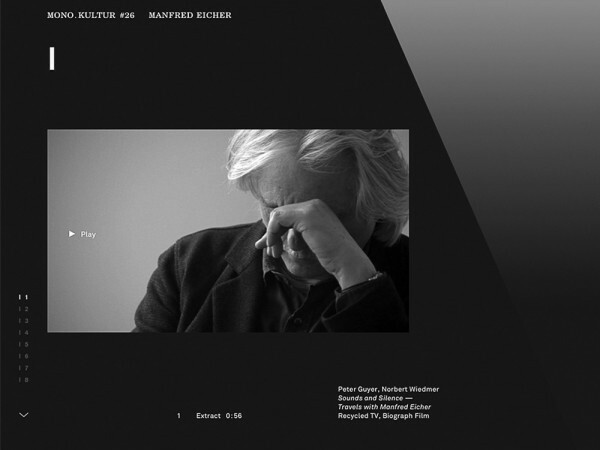 Issue mono.kultur #26, dedicated to the legendary jazz and classical label ECM, contains a profound and poetic conversation with founder and producer Manfred Eicher about the abstract qualities of music. 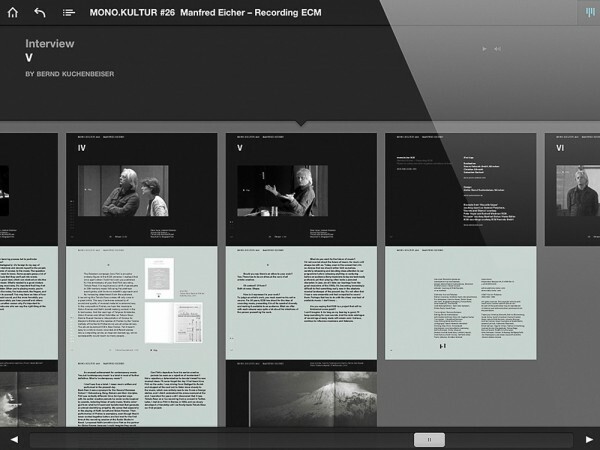 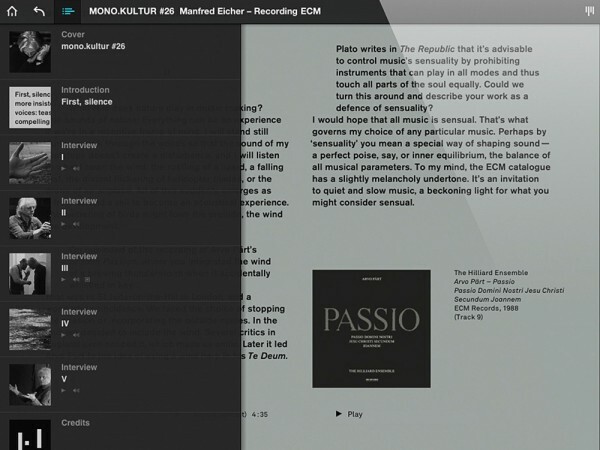 It was a welcome opportunity to experiment with an issue of mono.kultur in a digital format as an iPad app, with ECM granting us generous access to their archives for excerpts from the films and music discussed in the interview. 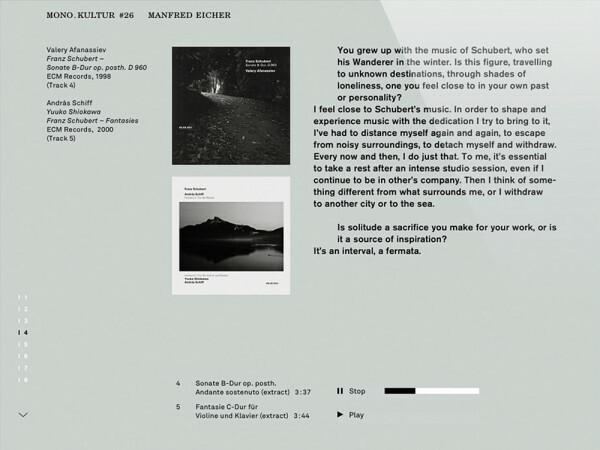 Clean and elegant in its execution, the app allows for an entirely different reading of the conversation than the printed issue, enhanced by the sound of ECM. 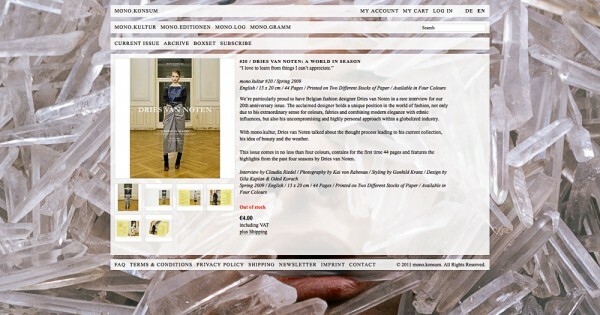 With www.mono-konsum.com, mono.studio designed an online store for the various products developed in-house, from our interview magazine mono.kultur to a series of artist editions to our associated womenswear label mono.gramm. 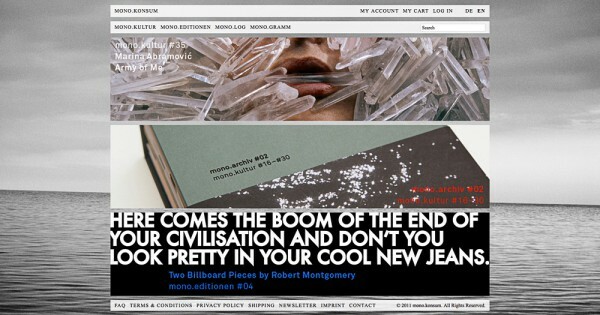 Disappointed by the generic presentation of many e-commerce platforms that reduce online shopping to a merely practical and all too often soulless transaction, we deliberately aimed for a highly personal approach. 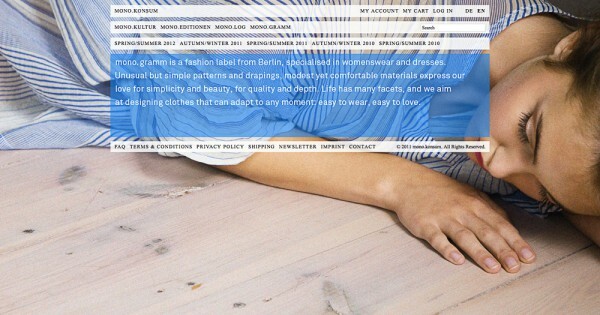 While the navigation adheres to a regular and user-friendly structure, the seasonally changing appearance of the online store is layered and image-driven to create a distinct and visual environment. 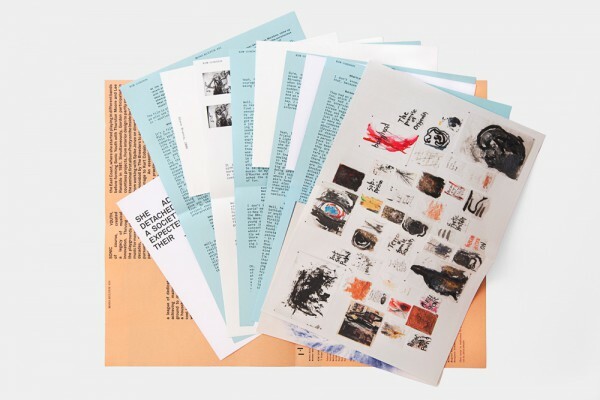 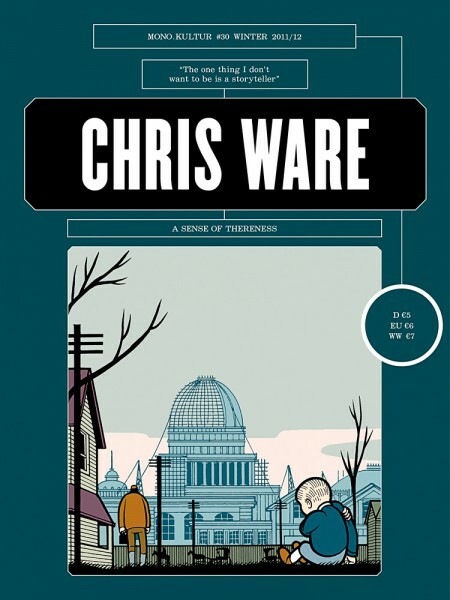 A particular emphasis is placed on the text, with extensive descriptions of the products that maintain a warm and light-hearted tone, just like a personal recommendation from the bookseller around the corner. 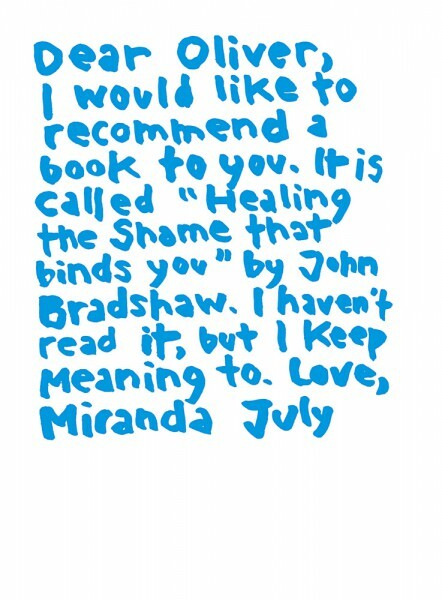 The wondrous and wonderful Miranda July has a penchant for handwritten messages to people who might or might not actually exist (in fact, we never asked). 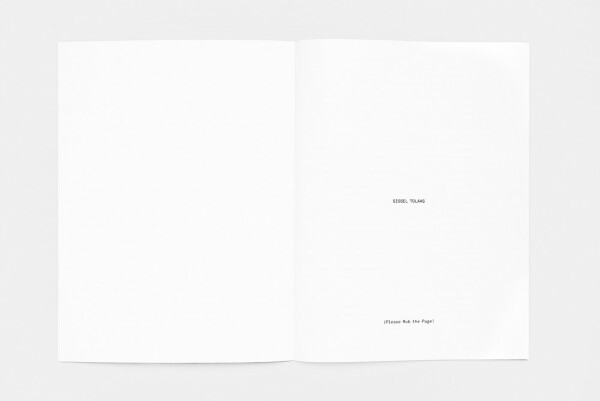 Candid, intelligent, funny, we embraced the opportunity to accompany our since long sold-out issue mono.kultur #16 with a bright screen-printed poster edition of three notes addressed to Sophie, Oliver, and Life. 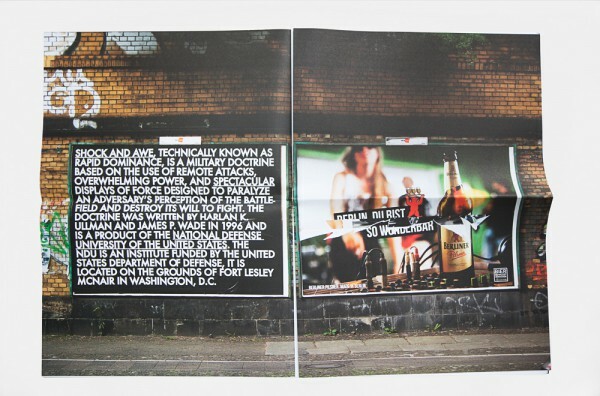 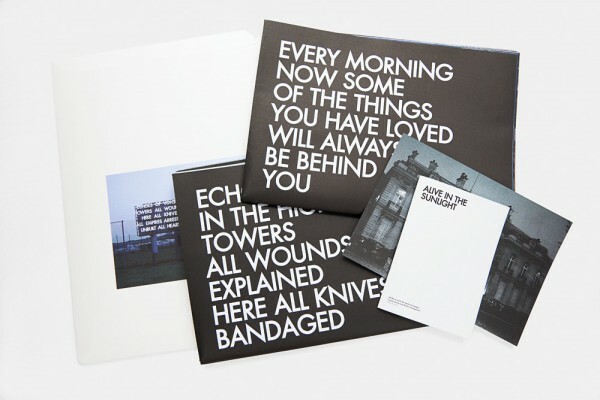 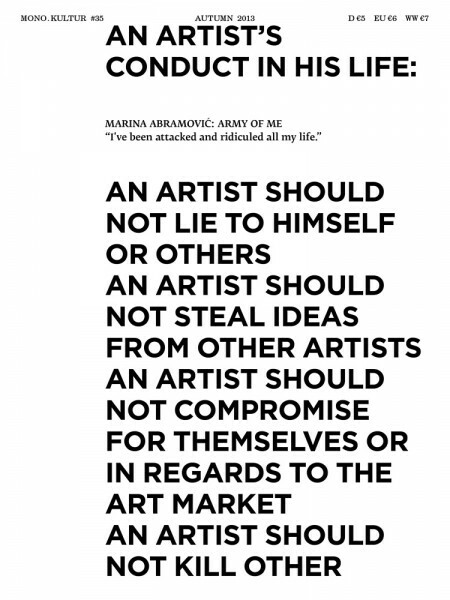 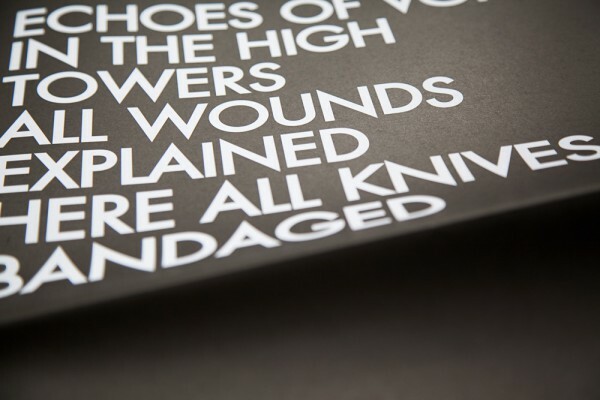 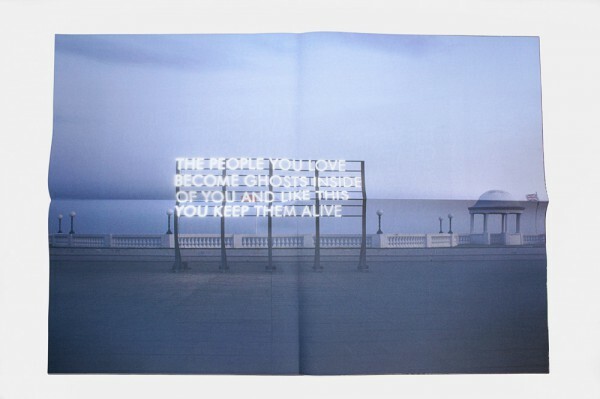 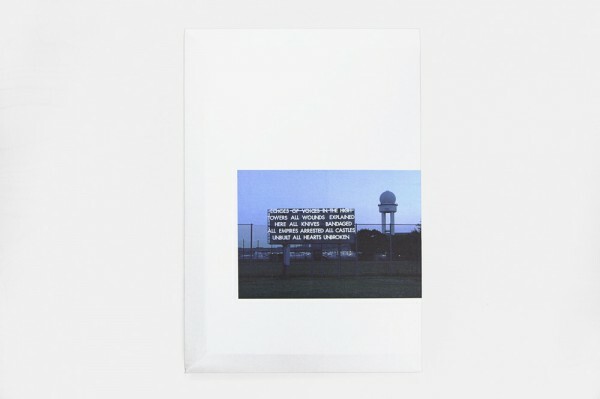 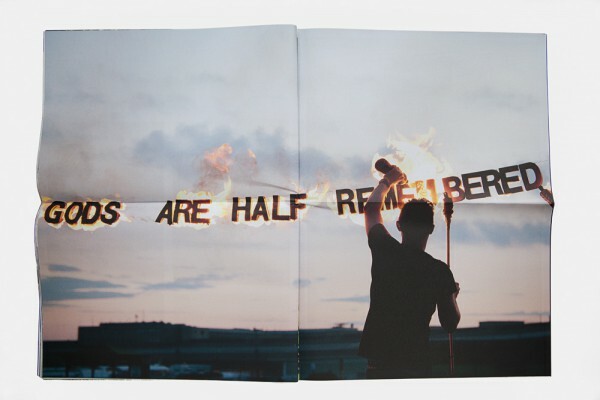 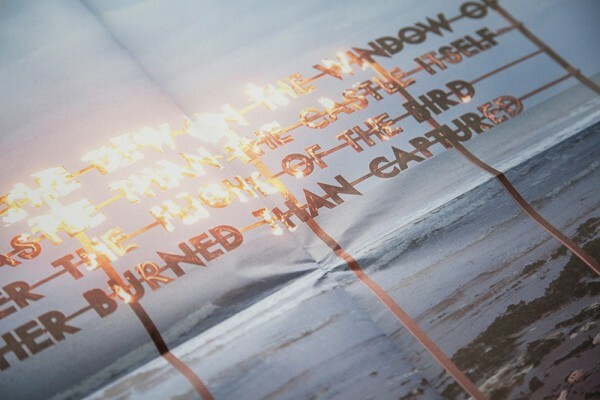 In collaboration with Robert Montgomery, mono.studio conceived, designed, and produced the British artist’s first publication, to coincide with his project ‘Echoes of Voices in the High Towers’ during the summer of 2012 in various locations across Berlin. 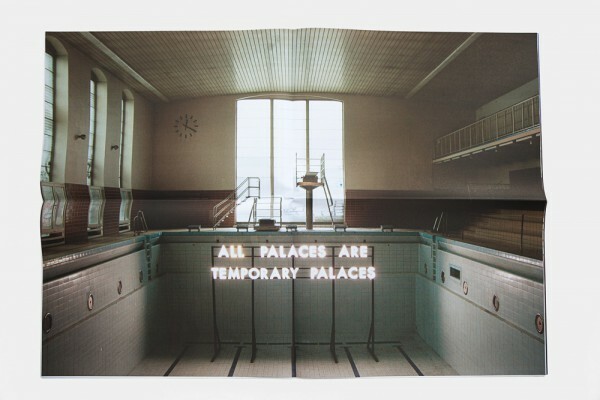 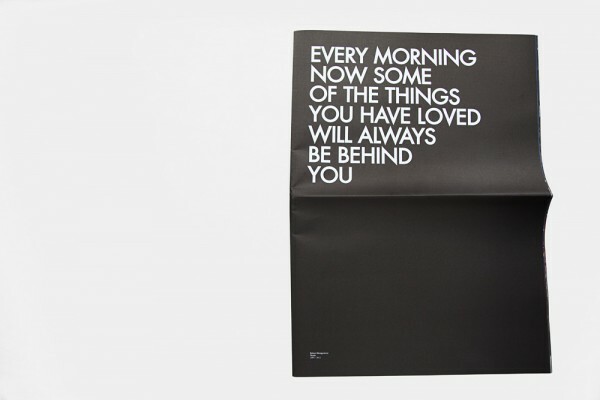 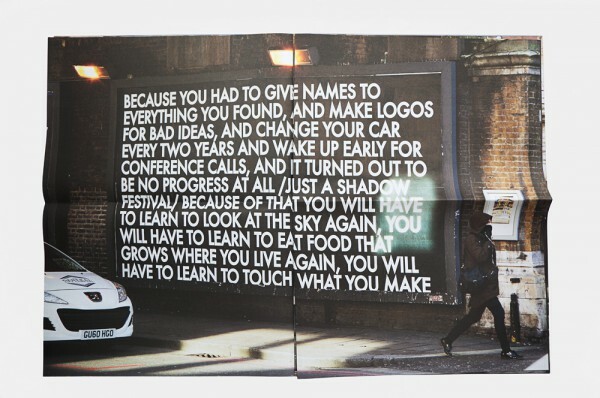 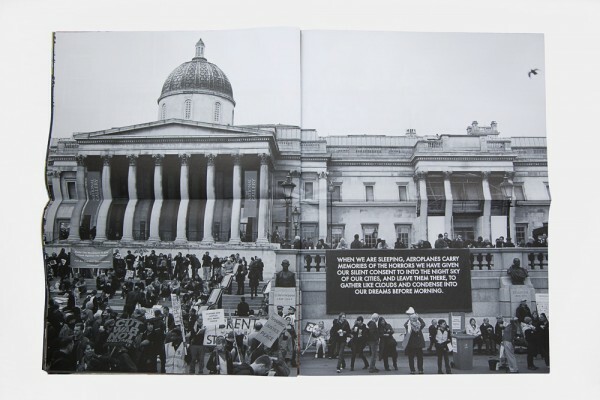 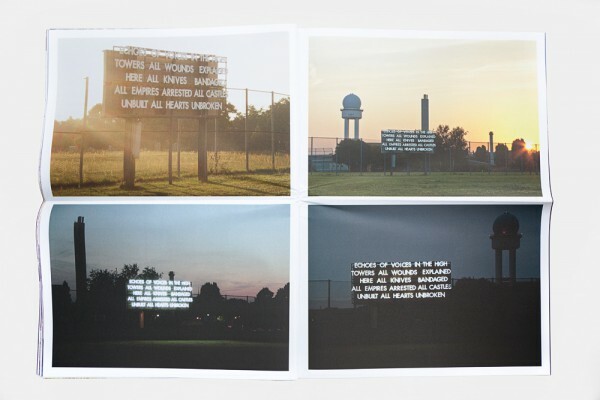 Working mainly in poems presented as anonymous billboards amid advertising or light installations in public spaces, Robert Montgomery combines a critique of the materialistic concerns of our modern society with highly personal moments of everyday magic. 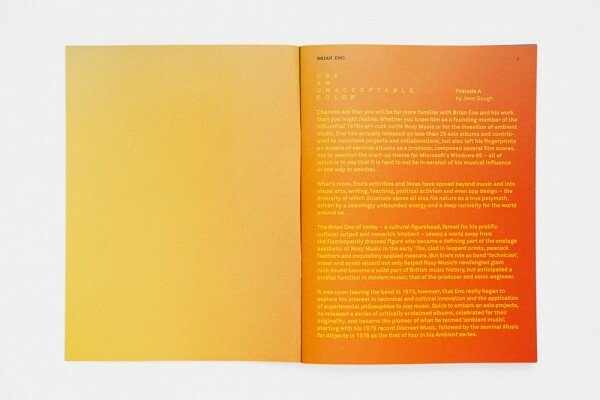 In order to recreate the full visual impact of Montgomery’s large scale works, mono.studio devised the publication in an epic and challenging A1 format. 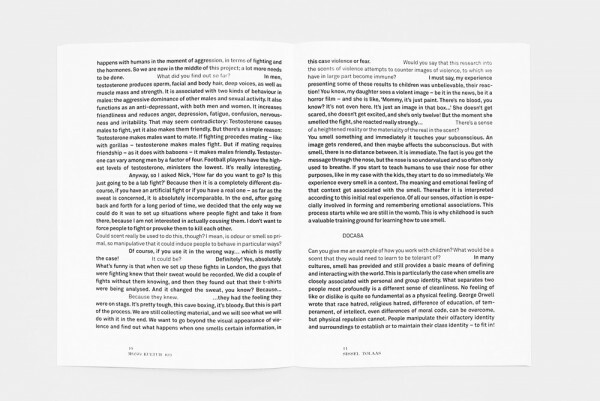 Packaged in a deceptively simple regular cardboard envelope, like a message in a bottle the publication unfolds into three separate books and a miscellany of works and interviews where the words and world of Montgomery slowly and magnificently take shape in all their depth of meanings, associations, and references.